Every CodeRush feature is meticulously designed to optimize developer productivity and minimize both cognitive load and physical motion. 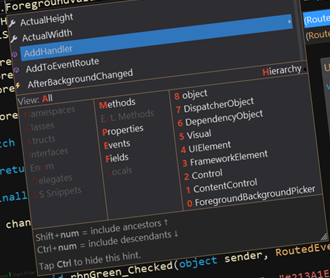 CodeRush stays out of your way so you can get into the zone, write more code in less time with fewer keystrokes, navigate to exactly where you want to be, effortlessly refactor, and quickly remove the noise from Intellisense results to find exactly what you need. And for new users, it's never been easier to get up and running with the all new Setup Wizard, which guides you through key configuration settings and gets you well on your way to writing code at the speed of thought. As a developer, you know that quality code is important. The more bugs you have, and the longer a bug lives, the lower the overall quality. That's why we built the revolutionary Debug Visualizer, which helps you find and understand bugs significantly faster. Add to this CodeRush's integrated spell checker (for identifiers, strings, and comments), our code analyzers, code coverage, the world's fastest test runner and optimally efficient refactorings, and you've got all the tools you need to keep your code at the highest quality. 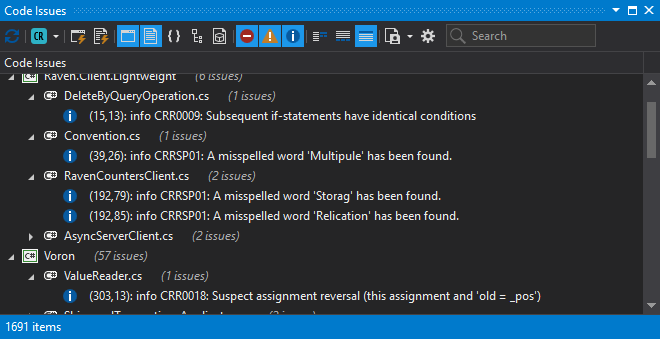 CodeRush uses less memory, works faster, and lets you start Visual Studio faster and open solutions faster than competing tools, so you can spend more time developing and less time waiting. 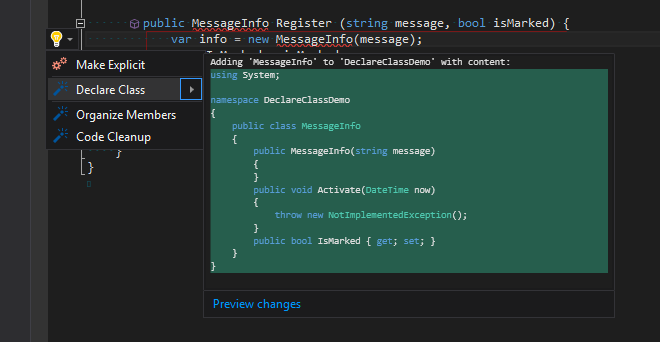 CodeRush's architecture automatically supports new C# and VB language features the moment they become available in Visual Studio. 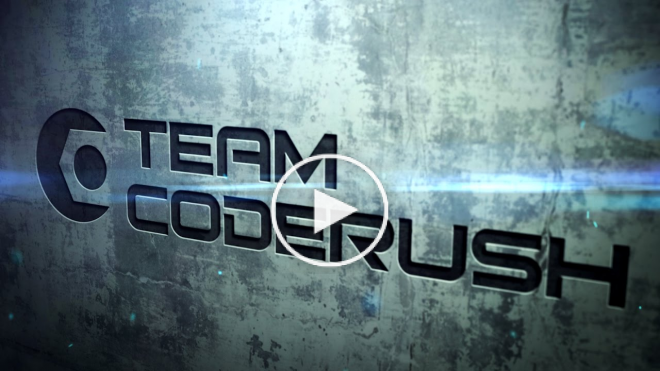 With CodeRush you get a faster and leaner development experience, shaving tens of seconds off solution load time and freeing up hundreds of megabytes of RAM, without getting in your way. And CodeRush's .NET Test Runner is currently the fastest in the world, more than twice as fast as the test runner built into Visual Studio. 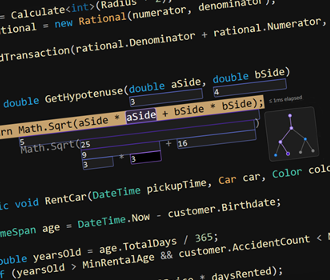 Create new code more efficiently with intelligent code generation. Hundreds of smart template shortcuts (like VS code snippets on steroids) provide easy access into quickly creating just the code you need, intelligently adapting to surrounding code and/or exploiting code on the clipboard. 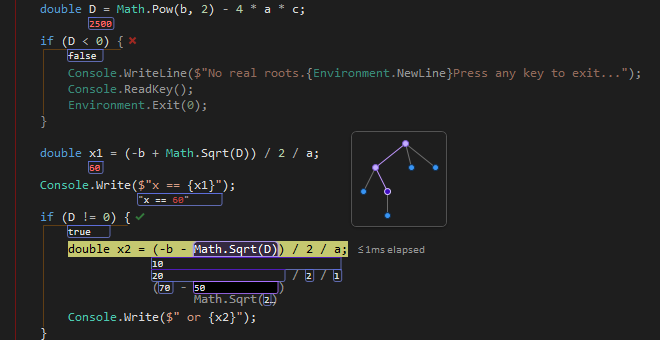 CodeRush's Deep Declare intelligently declares missing types and members automatically. And Selection Embedding instantly places selected code inside try/finally, try/catch, using statements, braces, and more. The Static Code Analysis engine detects common errors in your code and advice how to fix them. 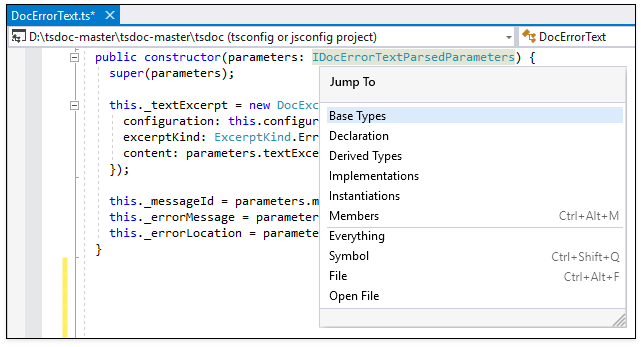 Quickly find symbols and files in your solution and easily navigate to code related to the current context. 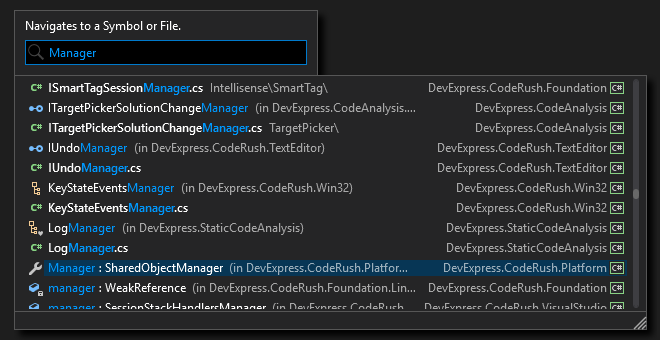 CodeRush includes various navigation features to help find what you need fast and easy. CodeRush makes it easier to see what's going on with complex code, so you can move forward and spend less time wandering and wondering. How did that expression get its value? When did that local value change? What arguments are we passing into this method? How many times have we been through this loop? CodeRush's compelling new debug visualizer effortlessly and instantly answers these questions, and more. Quickly make your code more readable and maintainable. CodeRush provides over 100 refactorings and code providers, including Move Type to File, Optimize Namespace References, Add Missing Constructors and more, designed to simplify code, improve readability, and increase flexibility. 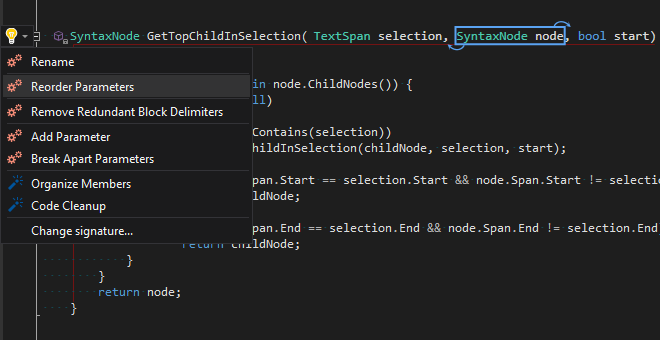 And CodeRush Refactorings come with a streamlined user interface built directly into the Visual Studio editor - no modal dialogs to block your code or slow you down. The blazingly fast Test Runner automatically detects unit tests for NUnit, xUnit, MSpec and MSTest frameworks, and can optionally run tests located across multiple assemblies concurrently. 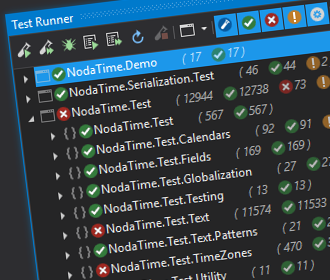 The CodeRush Test Runner also runs .NET Core test cases. 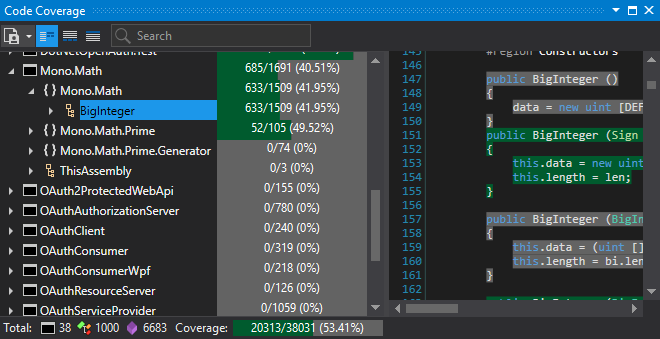 Using CodeRush's Analyze Code Coverage feature, you can discover what parts of your solution are covered by unit tests, and quickly find the at-risk parts of your architecture. You can experience CodeRush free, for 30 days. Full licenses start at $49 for a one-year subscription. All subscription plans include a lifetime license to the product and a year of free updates (updates ship about every 45 days). This release gets a port of the Unit Test Builder from CodeRush Classic, which helps you generate test cases for members of interest as you step through code. The Unit Test Builder supports NUnit, XUnit and VSTest frameworks. To generate a new test case as you are stepping through a debug session, place the caret on the method you want to test, invoke the Code Actions menu (with Ctrl+. or Ctrl+~), select the "Generate Test In" menu item and select the target location for the new test. Tests can be added to existing test classes or to a new test fixture. After your debug session ends, CodeRush will generate unit test stubs for all the tests created, complete with calls to the methods the feature was invoked from. You can add assertions and/or modify the initialization as needed. We have added the Initialize code provider. This provider initializes the variable or the field under the caret with the default type value. Just place the caret on a variable or the field, press Ctrl+. or Ctrl+~ to invoke the Code Actions Menu, select Initialize from the menu and press Enter. This code provider is available in C# and Visual Basic. This release introduces beta support for LaTeX formulas in comments. You can also change a formula's foreground color, background color and size. We have also added templates to make LaTeX formula creation easier. The LaTeX Formulas Support feature ships disabled by default. You can enable LaTeX formula support on the Rich Comments options page. We have added the Dock Options to the Navigation | Code Places options page. You can now dock the Code Places panel to the right/left margin. You can now jump to the desired type member in the code places list with a single click. Just set the Navigate to the member option to Single click on the Navigation | Code Places options page.